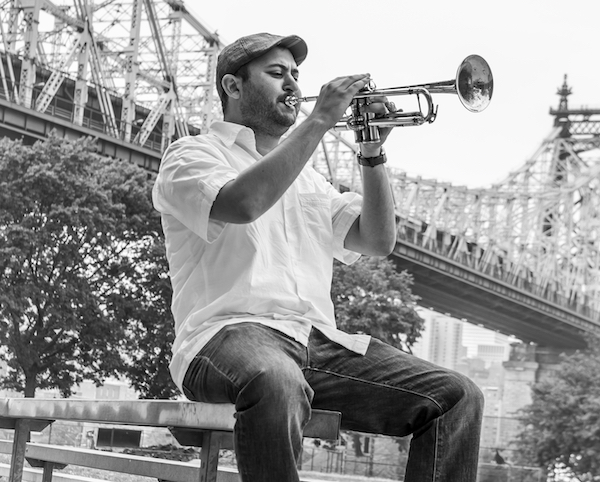 Trumpeter/Composer Josh Deutsch has established himself as a versatile and unique voice in New York’s music scene. Equally comfortable as a leader and sideman, Deutsch has performed throughout the United States, Europe, Canada and Asia. Deutsch’s projects include the band Pannonia, the Josh Deutsch / Nico Soffiato Duo and the “No Chairs Ensemble”. He can also be heard with Sofia Rei, Lila Downs, Pedro Giraudo’s Expansions Big Band, Grupo Rebolu, Livio Almeida’s Brazilian Dectet and many more… Josh is a proud resident of Queens, NY, where in addition to performing he is an active music educator and a founding member of the Queens Jazz OverGround. “Josh Deutsch’s No Chairs Ensemble”at Terraza 7 on Friday February 17th , 2017 at 8:30 pm.